Getting first-rate treatment from an experienced spine specialist in South Lake Tahoe, California, is easy when you call Tahoe Fracture & Orthopedic Medical Clinic. We’ve been in business since 1966, during which time we’ve served tens of thousands of local patients, and we continue to place the highest priority on providing top-quality care using state-of-the-art technology. What Can a Spine Specialist Do for You? Many patients are also able to find relief using alternative forms of treatment, which may include acupuncture, acupressure, and chiropractic care. In some cases, however, conservative treatment isn’t enough and patients require surgical intervention. 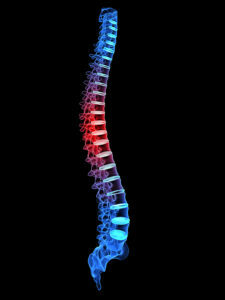 Some common spine procedures include artificial disc replacements, discectomies, and laminectomies. If you’re living with chronic neck or back pain, a spine specialist at our South Lake Tahoe, CA, location can diagnose what’s causing your pain and help you determine which course of treatment will work best for your unique circumstances. We’re a full-service practice, so you can rest easy knowing that we’ll be able to handle your care at every stage of the treatment process, including surgery and rehabilitation, if needed. Our doctors, physical and occupational therapists, physician assistants, and nurse practitioners will work together to provide you with a seamless treatment experience. Please contact Tahoe Fracture & Orthopedic Medical Clinic to schedule an appointment with a spine specialist at our South Lake Tahoe, CA, office. We look forward to helping you restore your function, mobility, and quality of life.